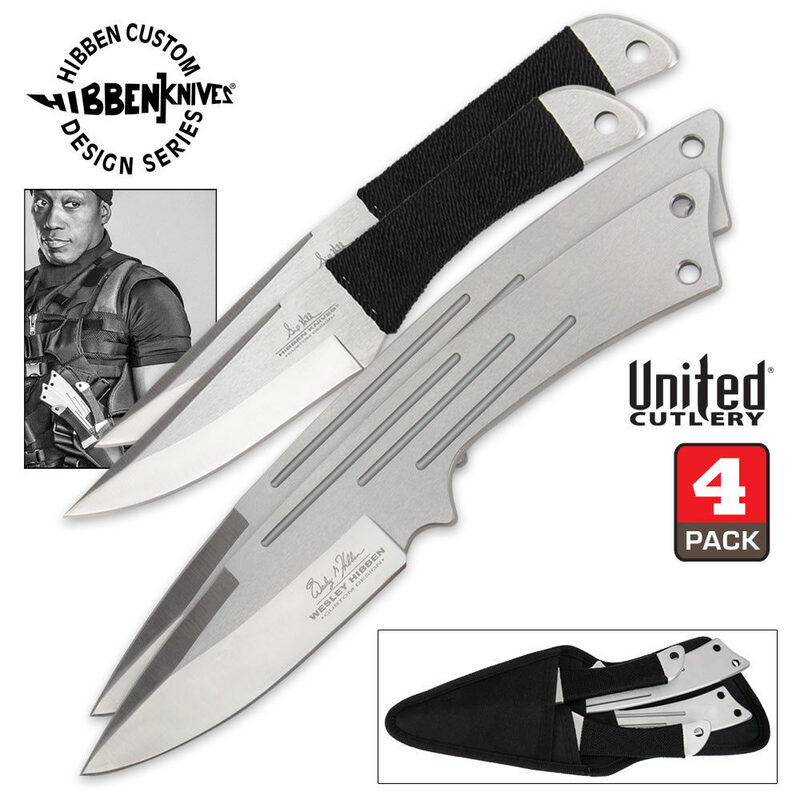 Edged weapon masters Gil Hibben and Wes Hibben have joined forces again to bring us this tactical knife set! Designed to hit hard and sink deep into your target, all four knives are heavy and feature a full tang, single piece construction. The stainless steel blades come sharpened from the factory and laser edged with Gil Hibben or Wes Hibben's signatures, denoting which artist designed the knife. 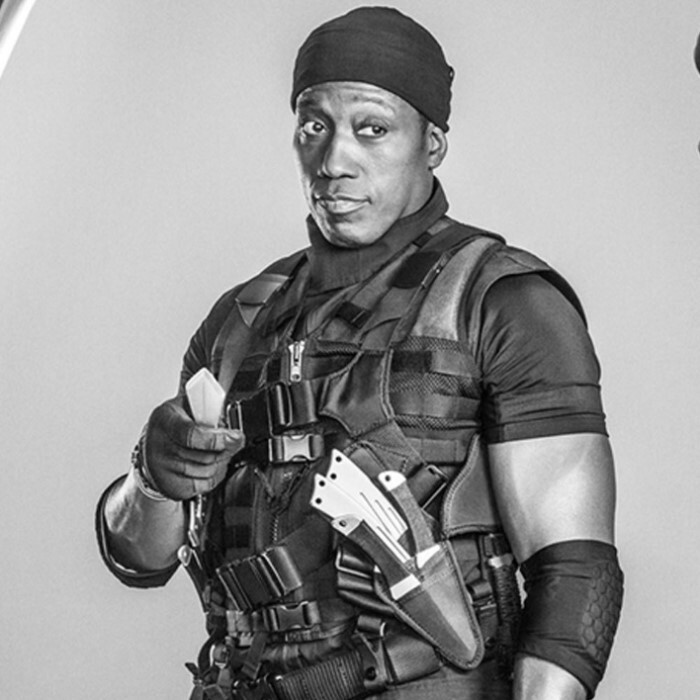 A tactical nylon sheath is included for carry of all four knives. The off-set individual pockets for each blade make it possible to quickly draw and deploy knives one at a time, greatly reducing the time from sheath to target impact. Measurements: Two each of knife style, measuring 8 5/8 in. and 10 1/8 in. overall, for four total knives. Part of our Hibben Legacy collection. This is my first set of Hibben knifes. They are so well made and look immaculate that i dont want to even throw-em!! I plan on getting another set for my grandson. Had no intention of buying this set. Two types of knives in one sheath?!? 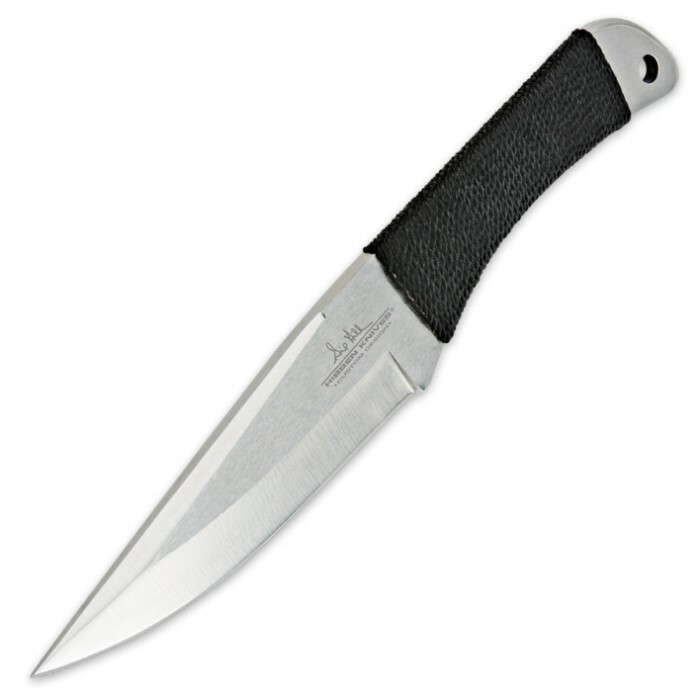 And didn't the Wes Hibben 10" get panned by reviewers as being soft tipped? Then these arrived in my Christmas stocking and boy am I glad for it! Both designs are hard hitting flyers that will guide and educate the hand of the novice or maximaize the effectiveness of the veteran thrower. Both are eye candy. The sheath holds its occupants with amazing security, but lets them draw smoothly into the hand every time. And as usual, BudK has the best price. I'm glad to be wrong on this one! Amazing throwing knife well balanced and are really durable I will be buying more.